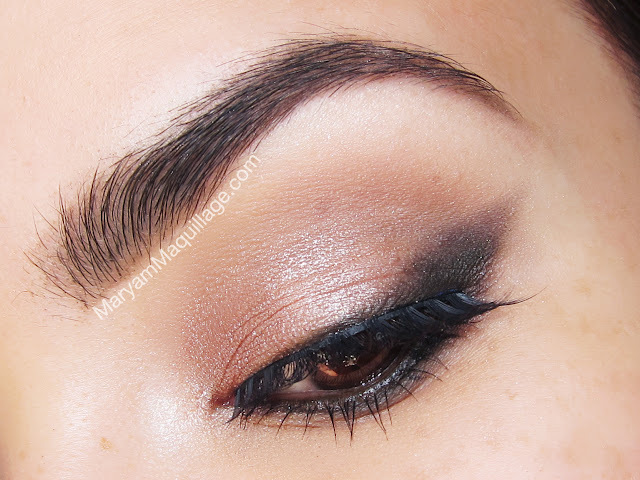 A TIP for Thursday: This "Taupe Craze" Smoked out Cat-eye is the perfect way to add a dose of glam to an everyday makeup look. 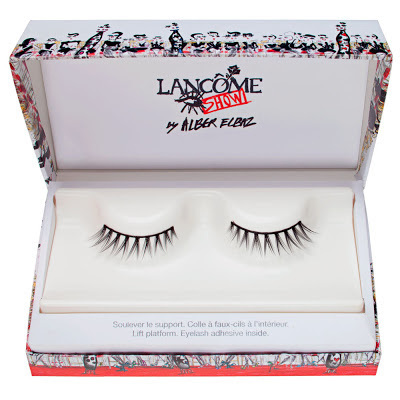 With neutral shimmery taupes and spiky LE Lancome Show lashes by Alber Elbaz, this smokey kitty is easy to wear, playfully edgy and never boring! Apply your primer and allow a few seconds for it to set. 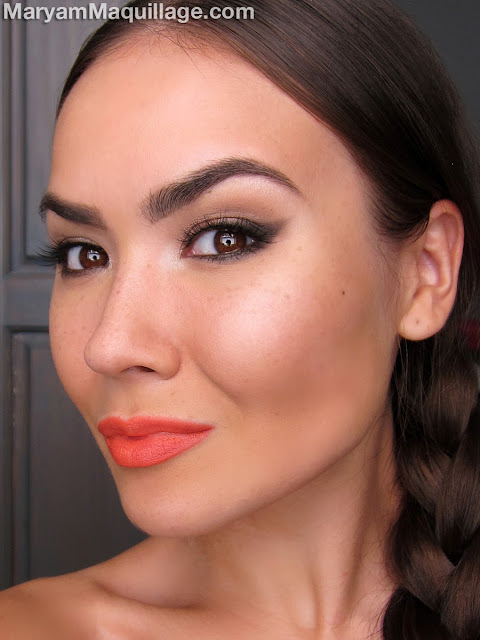 Using brush #23, apply the lightest highlighter shade above your crease, all over the brow bone and inner corner. With the #17 brush, apply the matte taupe shade directly to your crease and blend out the edges. Pat on the shimmery taupe shade all over the lid with the #11 brush and highlight the center and inner corner with the sparkly taupe (highlighter) shade from the palette. With the #16 brush, extend the outer wing using the darkest shade in the palette. 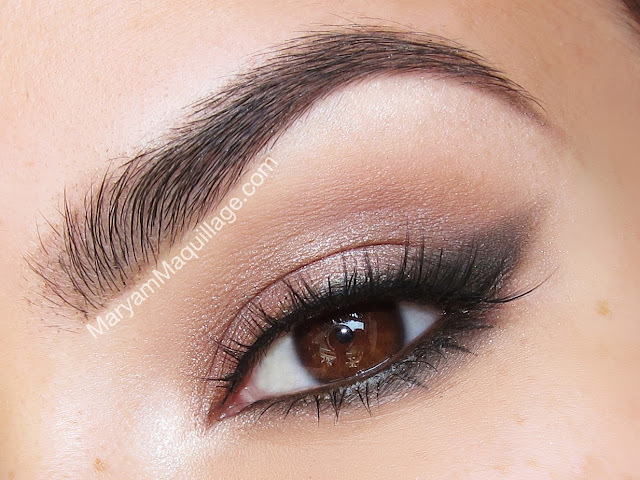 Keep the shape smokey by blending the edges. 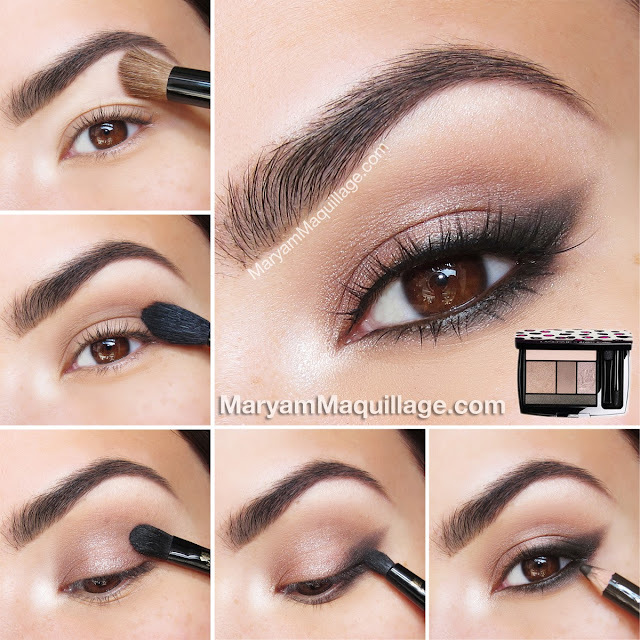 Apply the same shade to the lower lash line. Define the lash line with the Black Coffee kohl liner and rim the waterline. Apply mascara to the top and bottom lashes and add spiky lashes to complete the look. Beautiful as always. I really love that lip color. beautiful! 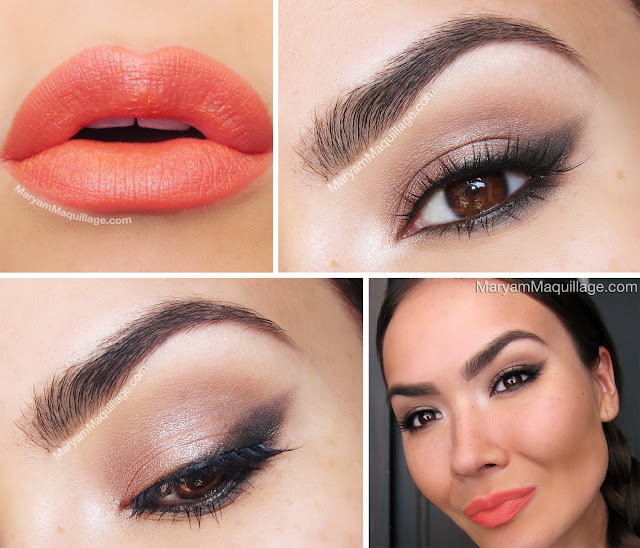 i love what you did with the outer corner! so gorgeous! 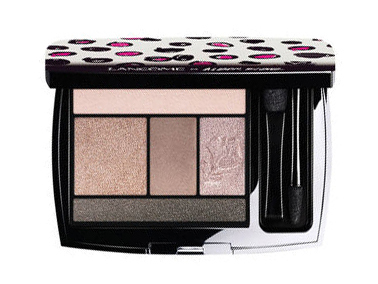 that palette looks amazing! Absolutely stunning look! I love the eyeshadow/wing effect! It's beautiful! And that lipstick is to die for! Love the smoked out liner! 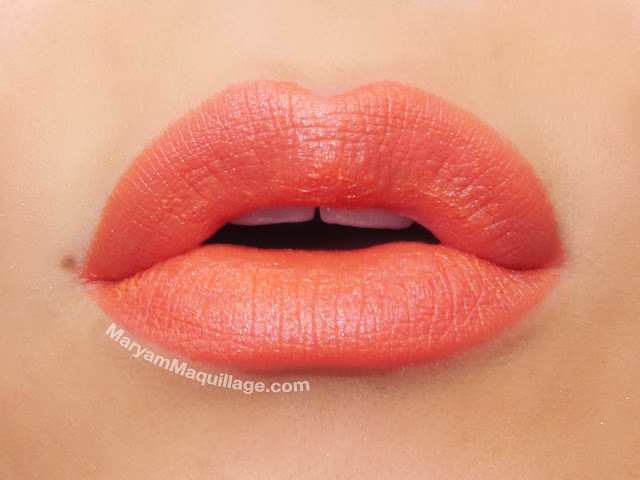 And the lip colour is simply gorgeous! SUCH a great lip colour!!! Very pretty. Those lashes are fabulous as well.